Jaguars coach Doug Marrone asked for 100-percent participation in the Jaguars voluntary off-season program. 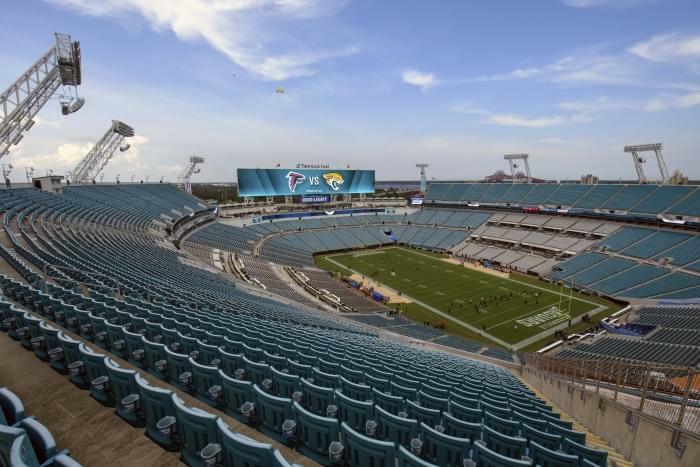 The team started Monday and two players were absent: linebacker Telvin Smith and cornerback Jalen Ramsey. Marrone confirmed their absence before adding that he had reached out to both players and had not heard back from them yet. Smith was a surprise. The sixth-year veteran, who turned 28 on Thursday, is coming off a disappointing season, is highly paid, and has always been present for the offseason program. Smith has also tried to be one of the team’s most vocal leaders even dating back to his rookie season. Smith had a career-low four tackles behind the line of scrimmage last season. There has been speculation that Smith could be a trade candidate. Ramsey, a fourth-year veteran, was expected to stay away. He trains at his father’s performance center in Nashville and has consistently become a Pro-Bowl player, earning the honor the last two seasons. Ramsey also is deserving of a contract extension. (You can email Hays at haysc@1010xl.com and follow him on Twitter @HaysCarlyon).